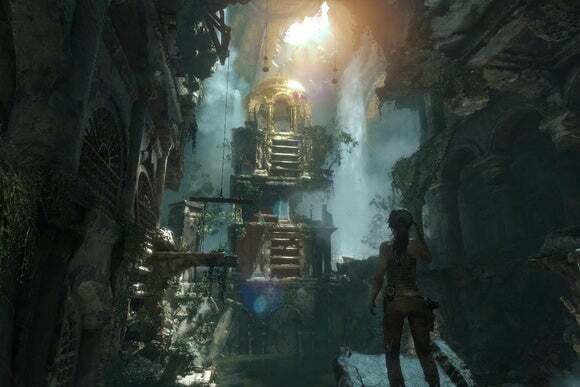 Nvidia sneaks voxel-based ambient occlusion tech into Rise of the Tomb Raider’s DirectX 12 PC patch. PC gamers who haven’t played through Rise of the Tomb Raider yet should be in for a treat with the game’s latest patch. The update adds DirectX 12 support on Windows 10 PCs, joining Gears of War: Ultimate Edition as the second complete game to include Microsoft’s next-gen graphics tech. For high-end Nvidia GPU users, the update also a new ambient occlusion technology called VXAO, which improves lighting effects by voxelizing the scene. You can reach PCWorld’s DirectX 12 FAQ or Tomb Raider developer Nixxes Software’s blog post for more about how the technology works, but the bottom line is that squeezes more performance out of existing CPUs in order to feed the GPU faster. In practical terms, a sample scene in Rise of the Tomb Raider at high settings with an Intel i7-2600 processor and GTX 970 card yields 46 frames per second in DirectX 11. That same scene with DirectX 12 brings the framerate up to 60 fps. As for VXAO, Nvidia is still being cagey about the details—the company is promising a detailed breakdown at the Game Developers Conference this month—but basically it breaks down surfaces into voxels to determine how lighting and shadows should look. 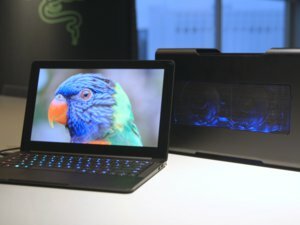 Nvidia says VXAO is more accurate and more detailed than existing space-based solutions such as SSAO and HBAO, and provides a smoother response to camera motion, but it’s also computationally heavy. It'll only work on Maxwell-based graphics card in DirectX 11 mode, however. The new Rise of the Tomb Raider patch is available now through Steam, and is coming soon to the Windows Store version of the game. The latest GeForce Game Ready driver is now available on Nvidia’s website. Why this matters: Although Rise of the Tomb Raider isn’t the first out of the gate with DirectX 12 support, it’s arguably the best showcase yet for the new tech, given that it’s an entirely new game and not just a remake. Between that and VXAO, hopefully you’ve got at least a few hours of the campaign left to enjoy PC gaming in top form.